With the MLB All-Star spectacle wrapped up, fans and front offices can get back to the most interesting part of July: trade season. This year, with so many teams on the verge of both buying and selling near the deadline, the market has been slow to develop. Relievers Fernando Rodney and Brad Ziegler have changed teams, but the high-profile position players haven’t budged. Something has to give as the days tick off the calendar and teams gear up for a postseason run, and several players back from their work in the Midsummer Classic are among those who could be on the move. Here are the five All-Stars most likely to be traded before the August 1 deadline arrives. 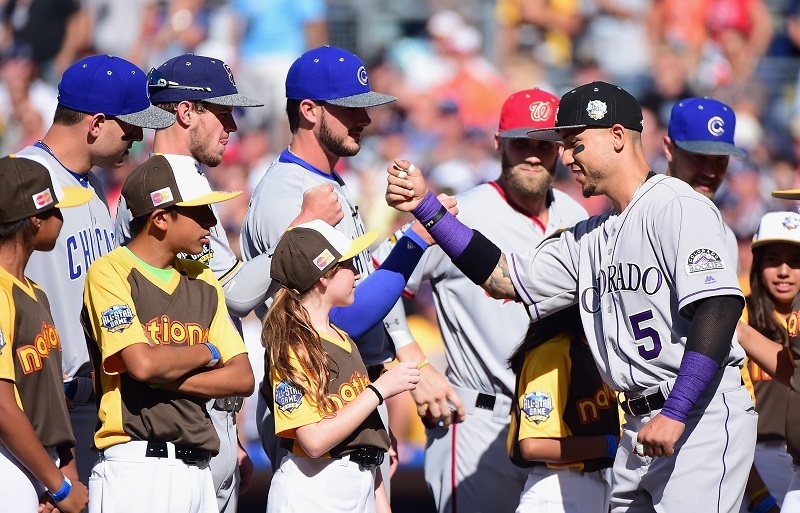 When you watch the Colorado Rockies play, you can see why the team would want to keep Carlos Gonzalez. The sweet-swinging outfielder fits in well with a powerful lineup that includes Nolan Arenado, Trevor Story, and Charlie Blackmon, giving Rockies fans a real show when the group victimizes visiting pitchers. Then again, there is a Groundhog Day feeling to Colorado teams. Every year, a mighty offense is undermined by a subpar rotation and bullpen known to blow the most generous leads. Would a trade of CarGo help change the situation? It is hard to tell, but the high-priced Gonzalez certainly won’t lead the Rox to an AL West title. Even as outfielders pile up near the deadline, he’s among the most likely to go. Johnny Cueto went at last year’s deadline. Aroldis Chapman and Todd Frazier were two more marquee players to go in the offseason. So how is Jay Bruce still on the Reds? According to Jon Heyman, Bruce was not meant to be in Cincinnati this long — two Blue Jays players he was traded for in the winter failed their physicals, voiding the deal. Bruce, who has a no-trade clause with eight teams on it but sounds willing to compromise, said he’s ready to play for a winner. 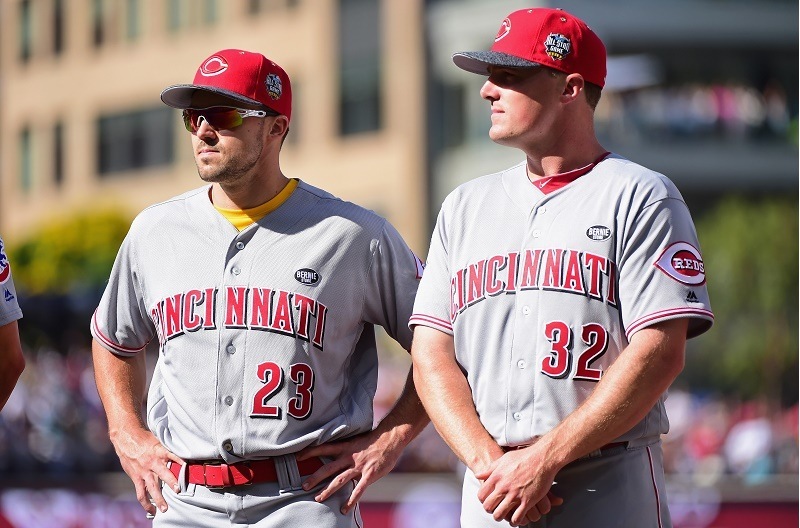 The time would be now for Cincy, which has a firm hold of last place in the NL Central and seems to survive on the antics of Joey Votto and Brandon Phillips. For his part, Bruce mashed through the first half, posting 18 home runs and 63 RBI along the way. Maybe the worst thing the New York Yankees could have done before the break was win three of four in Cleveland, looking sharp all the while. Crisp fielding and a balanced offensive attack was the formula to dismantling a hot Indians team in its home park. So now the Yankees’ front office might have to wait another week or two before deciding to sell or buy. 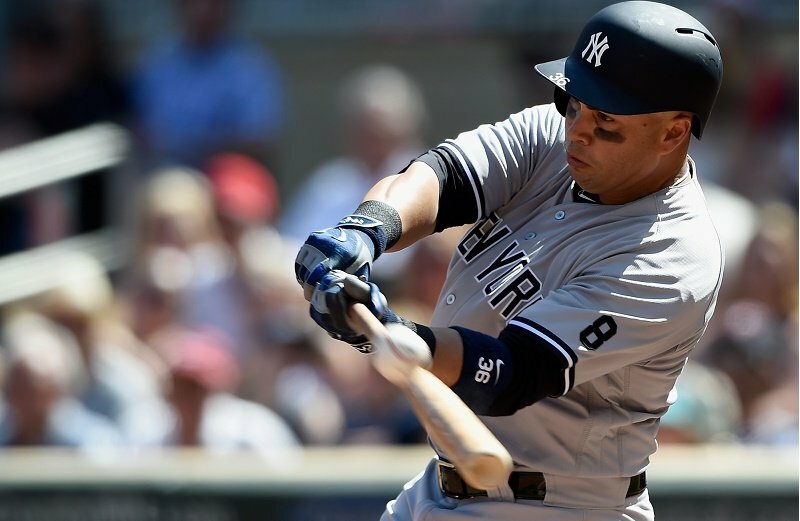 If New York sells, Carlos Beltran will be among the most coveted players on the trading block. The 39-year-old switch hitter is in the midst of a sensational season (.299, 19 HR, 56 RBI, .888 OPS) and has been one of the few engines driving the Yankees offense. He remains best-suited for the DH role, but Beltran can play a plodding right field if required. 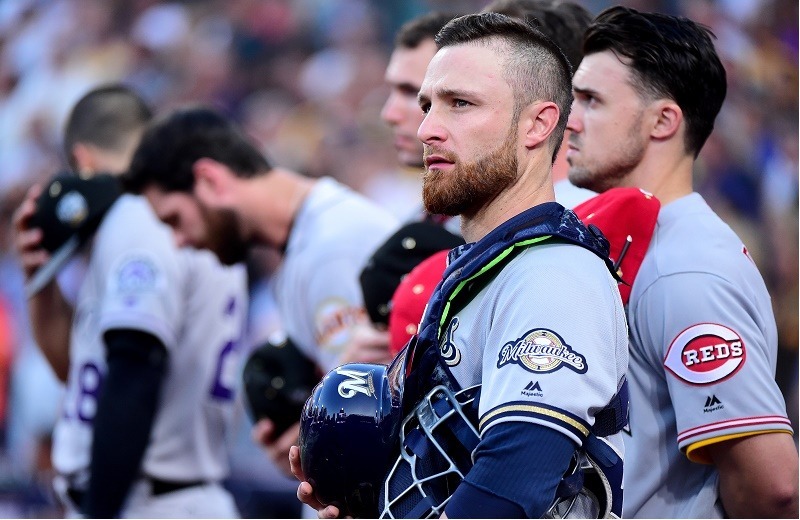 Jonathan Lucroy, the lone Brewer who made the trip to San Diego for the All-Star Game, remains the stuff of trade speculation for obvious reasons. At 30, he is in his prime as a hitter and as a backstop. Meanwhile, his $5.25 million salary in 2017 makes him a steal for any team, and he’s owed less than $2 million for the rest of the 2016 season. But will Milwaukee part with its best player, one who placed fourth in National League MVP voting in 2014? Now would be the time to maximize the return for Lucroy, which makes him among the All-Stars most likely to be traded. Among potential trading partners, Texas continues coming up in rumors, and such a deal would make sense given the Rangers’ weakness at the position and deep farm system. 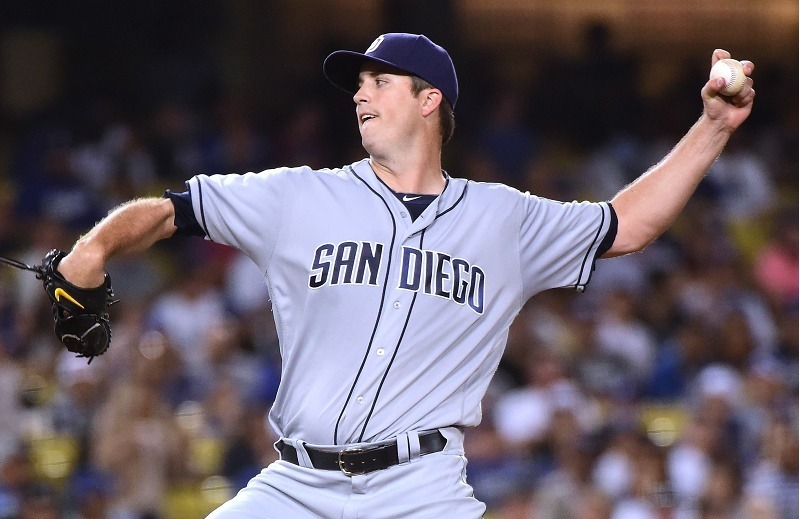 Drew Pomeranz is having his finest season as a pitcher at age 27; he will be under club control until 2019 and plays for a fourth-place Padres club headed nowhere. Naturally, the lefty’s name has come up in trade rumors in both leagues, with clubs from Boston to Miami seen as natural fits. Why let him waste away on the coast, the thinking goes. However, you would expect the price to be steep for a player like Pomeranz. 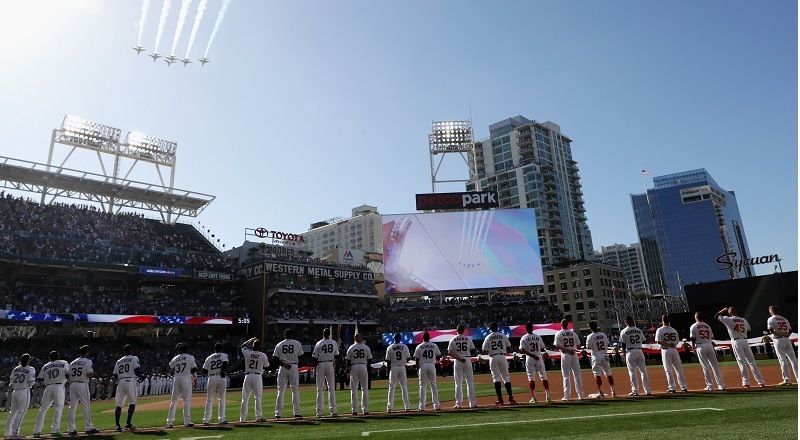 After all, the Padres are dangling above last place with the Diamondbacks stinking up the West this season, and San Diego’s front office might just as well wait until 2017, when the southpaw would still have a year and a half left in arbitration. Then again, a team like Texas might decide to go all in while it has the pieces.